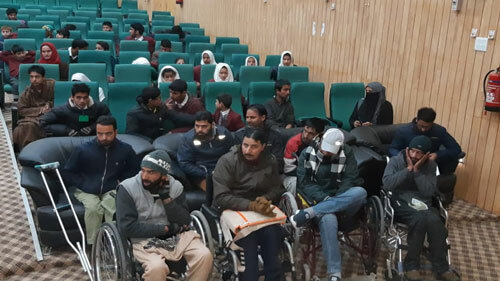 On 1st December 2018 an inaugural programme of week long disability Day celebrations was organised at Auditorium Degree college boys Anantnag. 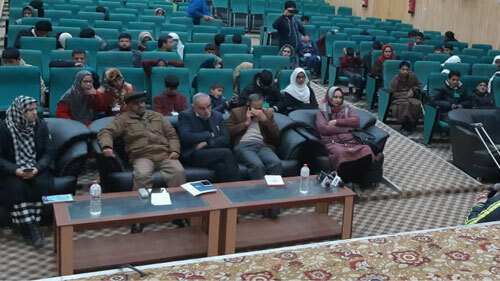 The programme was organised by Humanity welfare organisation Helpline NGO in collaboration with Zaiba Aapa Institute of Inclusive Education Bijbehara. The programme started with recitation of Quran by a mentally disable student Shakir Ahmad. Other student Farzana Showkat a visually disable girl recited naat. The welcome note was given by visually disable student Rasikh in braille. The programme was attended by hundreds of persons with disabilities. A Deaf and mute student of a class 7th Ifla syed of Zaiba Aapa institute throw light on disability day and the problems faced by the deaf and mute. The extraordinary speech delivered in sign language was translated by sign language interpreter of Zaiba Aapa institute. The deaf and mute children displayed a n attractive cultural activity. A group of mental disable students showed performance using IPads. They attracted the audience and made scores of spectators emotional. There was a cultural activity performed by the mental disable children. All children with disabilities will be covered under the scheme in phase wise manner. 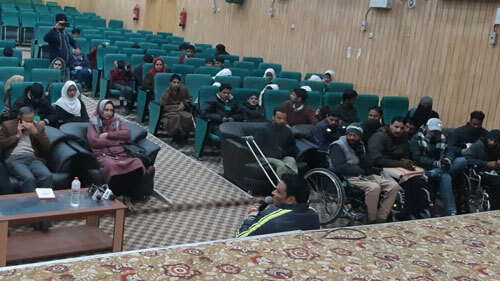 Principal government degree college Anantnag who was the guest of honour on the occasion threw light on world disability day commemorations and said that degree college Anantnag has ensured ramp at almost all entry points of buildings in the college campus. Washrooms will be made disable friendly and mechanical elevators will be installed at the entry of the auditorium and for the podium to make it completely accessible. Joint director finance and chief planning officer of district Anantnag, Mr Muzaffar Ahmad Khatana, said that all plans will be inclusive in district. The infrastructure under construction will be disabled friendly. He said that social welfare offices will be setup in ground floors, so that persons with disabilities have easy reach. Throwing light on the world Disability day history Javed Ahmad Tak, Honorary Chairman Humanity Welfare organisation Helpline NGO said that disability sector has been facing flood of problems in the state. 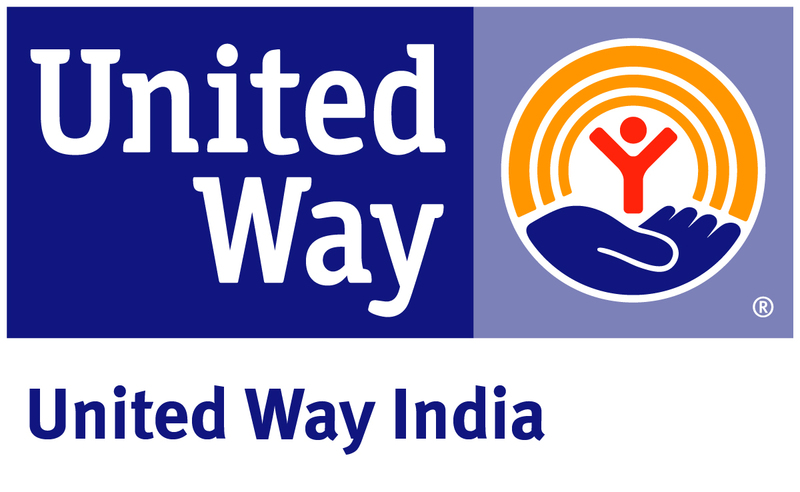 He thanked the Governor administration for giving ascent to the J&K Rights of persons with disabilities Act 2018. Now the implementation through proper rule formation is needed, Tak added. Tariq Bashir Assistant professor Department of History from Utrusoo college who was special guest on the occasion said that persons with disabilities are full of capacities that need to be extracted and utilised for their independent life.